Are You Protected Against Cybercrime? In previous blogs I’ve touched on the lack of security in social media and mobile devices such as smartphones, for example. ProtectMyID, a division of Experian (one of the credit reporting agencies), hired StrategyOne Research to conduct a survey in September 2011. The purpose was to obtain insight into how individuals protect their personal information online and in social media. This survey was similar to other surveys. For example, many did not take precautions to password protect their devices, used smart phones to purchase items and conduct online banking, and provided personal information on social media such as date of birth. 90 percent owned a laptop or PC. 49 percent owned a smartphone. 54 percent do not use a password to lock their phone and/or tablet. 50 percent accessed online websites such as an Amazon, eBay and their bank accounts using smartphones and/or tablets. 66 percent used the same passwords for at least two accounts. 51 percent did not click the logout link or button when they leave social media or online accounts. 18 percent managed their privacy settings on an ongoing basis. More than half provided the following personal information on social media profiles: 61 percent date of birth, 56 percent education and 51 percent email addresses. Don’t open an attachment or click on a link that you didn’t request, even from someone you know. Don’t download free software unless it is from a secure and trusted site. Click the “x” on pop up ads to avoid viruses. Keep your virus and spyware software updated. Don’t provide personal information on social media. Don’t use the same password for any online accounts. 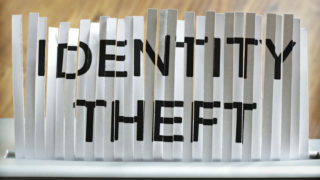 Remember there are criminals that will try to steal your personal information. Many don’t think it will happen to them, are aware of what they should do, but don’t take the precautions. With these tough economic times, there are more crooks out there, so be careful. PreviousWill Paying Off My Installment Loan Early Increase my Credit Score? NextWhy Do I Need a Credit Report?